Over the weekend, my pals Genny, Laura and I traveled to Oklahoma to visit our friend DeAnna in her new home outside Oklahoma City. A longtime Katy resident, DeAnna is new not only to OKC but to gardening. 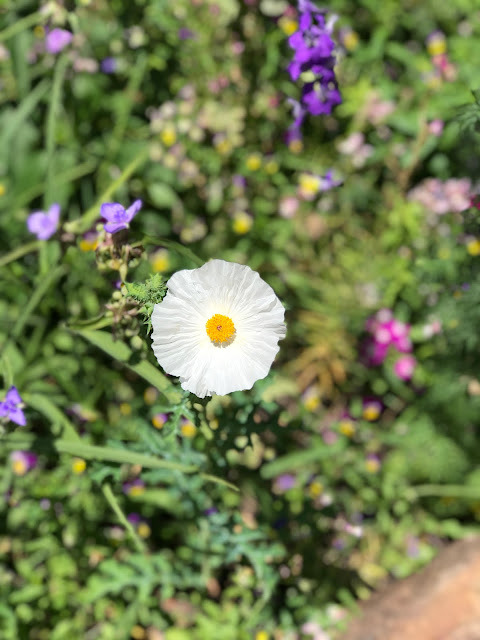 Fortunately, I know just the person to steer her in the right direction and even more fortunately, Dee Nash of Red Dirt Ramblings graciously invited us to visit her country cottage gardens. Thank you, Dee ... it was a treat for all of us! What a treat it must have been to visit Dee's garden! I'm jealous! Your friend will have the perfect mentor. 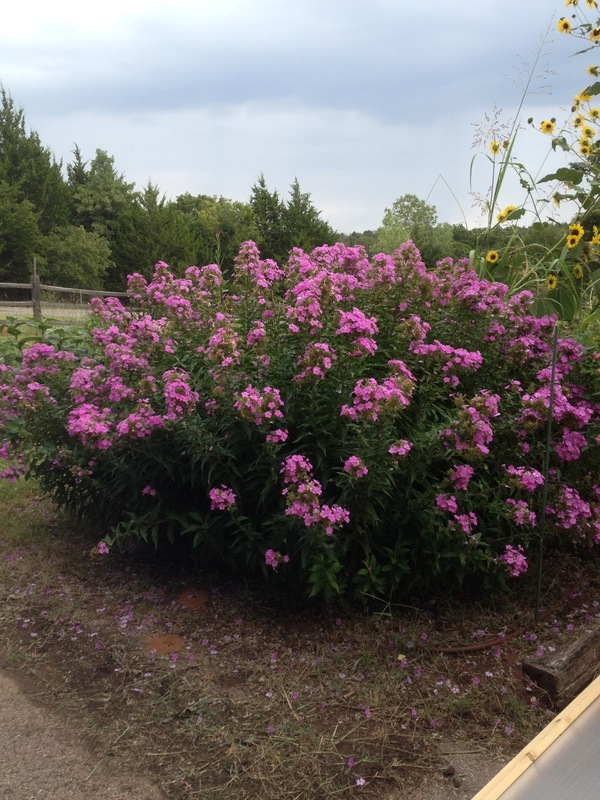 That is a gorgeous phlox and it's still blooming! Oh what full sun and deep soil can do for a flowering plant. I'm glad you got to see Dee's garden.